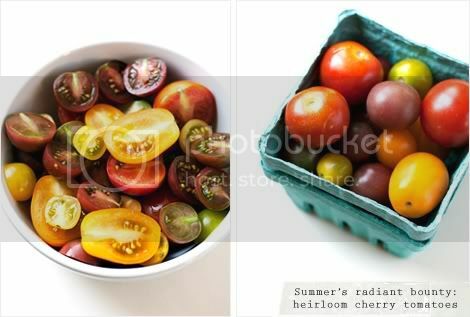 When I think about the dishes I tend to make most during the hottest months of the year, summer is all about the tomatoes — specifically cherry tomatoes and ripe, plump heirlooms in all their misshapen, psychedelic glory. I pick my heirlooms from an upstate farm at my local greenmarket, but those of you who are lucky enough to have a backyard may even pick them directly from your garden. Slice and serve them raw with a dash of balsamic, olive oil, salt and fresh-ground pepper; or add them to pizzas, pastas and sandwiches to instill a juicy sweetness. I keep plenty of Cashew Cream on hand for making Tofu Ricotta year-round — when tossed with pasta, this no-cook sauce transforms into simple and flavorful pure-vegetarian fare. An extra dash of lemon this time around adds a summery note, and a handful of ripe cherry heirlooms rounds out the dish perfectly. 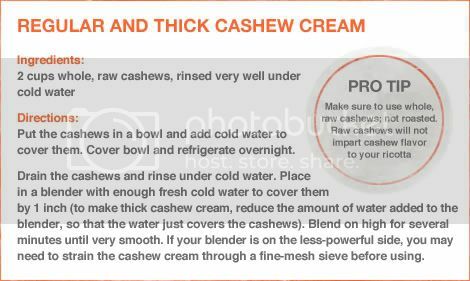 Make the Tofu Ricotta: Place the tofu, nutritional yeast, onion powder, lemon juice, Cashew Cream, miso, salt and pepper into a food processor or strong blender. Pulse until the mixture has the texture of ricotta cheese. 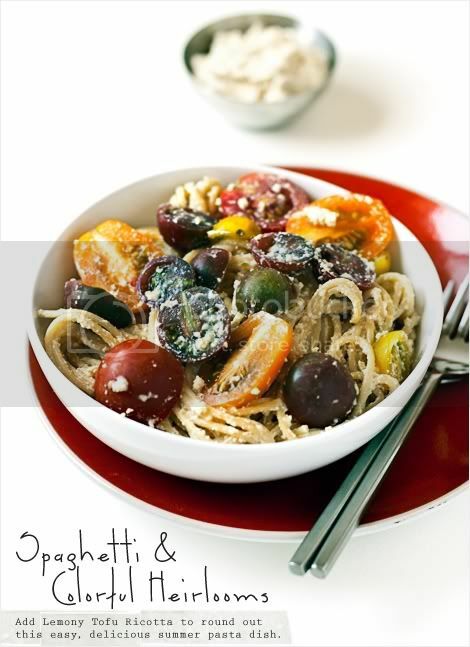 Prepare the pasta dish: Return the cooked and drained spaghetti to the original cooking pot. Add Tofu Ricotta and stir and toss to coat, adding a dash or two of reserved pasta water if mixture is too thick. Add tomatoes and gently toss to incorporate. Finish with salt and freshly ground black pepper, to taste. Serve immediately in warm, (shallow, if possible) bowls.